Wellington, New Zealand: New Zealand-based technology company ThunderMaps, which is building the world’s largest database of dangerous locations has just completed a seed round of capital raising. The investment rounds attracted funders from both Australia and New Zealand who have purchased convertible notes at a 20% discount on a future equity valuation. The proceeds from this second funding round will be used to expand into the larger Australian and UK markets. 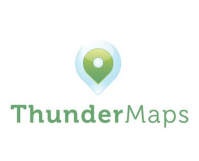 ThunderMaps core mission is to make people safer, and they do this by letting people know when they are in danger in real-time, by sending them instant them alerts on their phones and showing them how far away the danger is on a map. In 2015 the global market for H&S was valued at $US3bn in 2015 and is expected to rise to $8.3bn by 2024. ThunderMaps Managing Director Clint Van Marrewijk said, “The first 3 years of our business has been all about developing a robust product which customers love and trust. “When you are in the business of providing organisations with critical safety alerts, trust is the most important thing. We are proud to provide organisations like Downer, TB Free New Zealand, CSS Disability Action and Waikato Regional Council with custom made alerting apps. “We are also endorsed by The European Commission to provide citywide implementations of our safety software. Original generation time 3.9613 seconds.